We had reported earlier on the actual manufacturing costs of the iPhone 4 and the iPad and today iSuppli came out with the actual cost for the Research in Motion’s (RIM) new Torch 9800. iSuppli reported that the Torch costs $171.05 to make! iSuppli stripped the phone and calculated the cost including labor to assemble the phone. 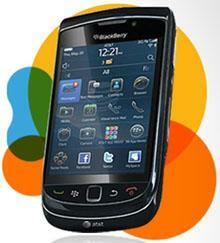 iSuppli said that the Torch’s design was heavily based on its previous predecessors – the Storm 2 and the Bold 9700. It also reported that most of the parts too were reused from previous phones including the Radio Frequency, power amplifier and power management subsystems. It also uses the same accelerometer seen in Storm2 9550. As expected iSuppli identified the most expensive part of the Torch is the LCD and the touch screen display module and was priced at $34.85. Memory stood next costing $34.25. The memory is supplied by Samsung and is a decent 4Gb flash memory. Other electronics including circuit boards, enclosures etc costed $23.35. The processor was next and costed just $15 – this is cheap considering how expensive these processors were a few years back. Other parts of the phone that counted towards the manufacturing costs included the Bluetooth/WLAN/GPS which costed $10.60. Over all the phone with another $12 towards manufacturing costs was made for $183. Are we all getting a bargain? Seems that nowadays, nothing can beat Apple or Google. Be prepared for Windows Phones… hope this wont be a desaster like Kin, Vista or now the RIM Torch.